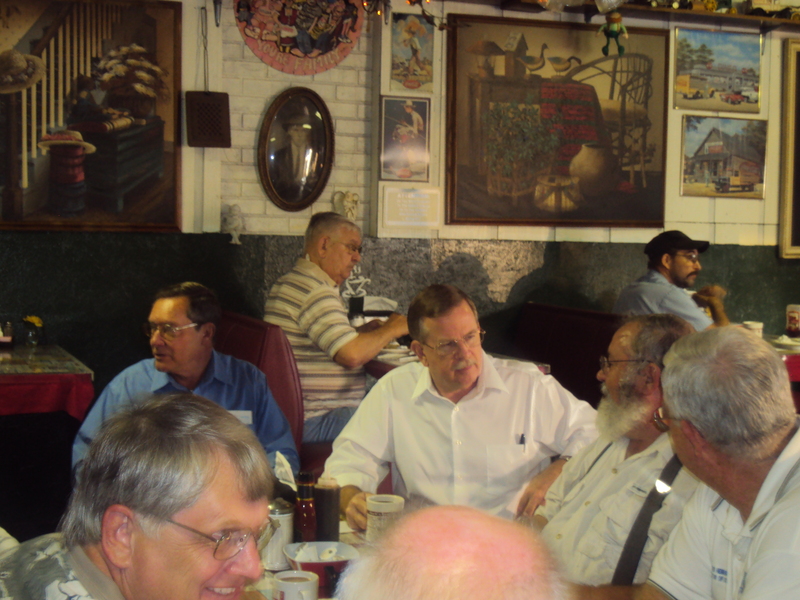 When the former Hernando County Sheriff now U.S.Congressman Rich Nugent stopped in to talk to the morning scratch group at Barb’s Restaurant in Zephyrhills he added his name to a long list of prospective candidates and current politicans that have seeked an affirmative nod from this influential group. Ron Oakley who is running for a seat on the Pasco County Commission also was in attendance. Nugent brought everybody up to speed and fielded questions as he ate breakfast and many times joked with the crowd. He had a town hall meeting scheduled in Zephyrhills and Dade City later that day. Nugent also was invited to join in the game of scratch as the tradition continues at Barb’s which was started at Neukom’s Drug Store in Zephyrhills many years ago. The game is the same but many of the players have changed over the years. I remember seeing George Neukom and Nelson Ryman when I stopped in every now and then downtown at Neukom’s and I saw both of them again and about 20 regulars that show up at Barb’s. It was lot’s of fun, very informative and the food was great.